As a child Deborah loved animals so much she could not eat them and by her young teens she was a vegetarian. At the age of 11 she had a terrible accident where she died and was resuscitated back to life. That left her with many years of horrible headaches and back problems. At the age of 23 after only 3 years of learning golf she qualified for the LPGA golf tour and ranked 43rd in the world after 2 years. She played on the LPGA tour for 11 years but under the name Deborah McHaffie since she was married at the time. She believes she was the only vegan/vegetarian on the tour the years that she played. Although she was a professional athlete first, she always considered health & food her passion in life. Her back finally could not take anymore after 11 years on tour, along with many chronic infections from all the pesticides on the courses she left to find her health and pursue another career. She did TV for the Golf Channel and CBS for 4 years and finally left to fulfill her life work of helping people & healing. That is when she found homeopathy! She began my classical homeopathic practice in LA in 1999 & have been helping patients regain their health until just recently when she decided to take a break to start her podcast, which is called vidalSPEAKS. After years of practicing & being concerned how sick & suppressed people were she felt compelled to speak out about the dangers of suppressing symptoms with pharmaceutical drugs & not understanding nature’s law. She speaks about healing through a plant-based diet, using homeopathy & detoxing to regain health. She is loving podcasting & feels she has found her life work since her desire has been to reach the huge mass! Deborah is certified by The Council For Homeopathic Certification and a member of NASH (North American Registered Society of Homeopaths), where she served as Vice President for 2 years. She has lectured at the National Homeopathic conference and she currently teaches at homeopathic schools in Southern California. She did a post-graduate study in Italy for 7 years and has studied with one of the best homeopaths in the world, Dr. Farokh Master. Her homeopathic practice, named LA Homeopathy, has served patients in Hollywood, California for 17 years. Deborah is a graduate of Cornell University’s Plant-Based Nutritional Program and has a diploma from Westbrook University in Nutritional Balancing Science, which is a study to learn how to detox via hair analysis. Ever since her teenage years she has been a lifelong student of the idea of “Food as Medicine” for acute problems and to sustain health. Caryn Hartglass: Hello, everybody. I’m Caryn Hartglass, and it’s time for It’s All About Food, and it’s another hour to tune in love. That’s what we like to do here. We like to tune in love, so all of us together, let’s put that love out there into the world because what the world needs now – I hate to be cliché – is love, sweet love because the more we put love out there, we get it back tenfold, 100-fold, and it’s hard to do, but we’re going to do it now in this next hour. And love with food, of course, because it’s all about food, and that’s one of the best ways to express love, by giving healthy, delicious, compassionate, cruelty-free, environmentally friendly food to others. Now before I introduce my first guest, I wanted to bring up a few things. Number 1: I’ve been talking about the Food Revolution Summit, and it’s from April 20th to May 8th. I am very honored to be a part of it in that every day during the summit, I will be introducing a new recipe. And I’ve mentioned this before that you can register by going to ResponsibleEatingAndLiving.com. Well, I just discovered yesterday that the links were broken. How come nobody told me? So for those of you who did visit ResponsibleEatingAndLiving.com, if you found a way to register on your own, great. If you haven’t, you can return because the links are now operational. And please, if you find something on the site, ResponsibleEatingAndLiving.com, if there’s a link that doesn’t go to the right place, if something isn’t quite right, let me know at info@realmeals.org. We’re working together to make this planet a better place, and I’m not perfect and I make mistakes. I often do too much in a short amount of time, and things sometimes get sloppy and I can’t stand that. Help me out. I’d appreciate it. And I appreciate those who do bring things up. Sometimes somebody brings up a spelling mistake or something else. Whatever it is, I don’t care. Just let me know so we can make everything better. The other thing is we started this a few weeks ago and that is I welcome, welcome phone calls during the program. You can call in at 1-888-874-4888 with any food related question. Hey, if you have another question, we’ll hear it and see if it’s appropriate or not. But this show is all about food, so don’t hesitate. 1-888-874-4888. Okay, you got that? Register for the Food Revolution Summit, and call in with your questions. Terrific, okay. Now let’s bring on my first guest, Deborah Vidal, and she has quite a fascinating story, and I’m just going to bring her right on and we’re going to start hearing about it. Deb, are you with us? Deborah Vidal: I’m with you. Can you hear me, Caryn? Deborah Vidal: Hey, by the way, happy birthday, Earth Day Girl. Caryn Hartglass: Oh, you know, that was one of the things I wanted to talk about, and I forgot so thank you for wishing me a birthday. I had a birthday on Earth Day. Thank you for remembering, and it was great. It’s always fun having a birthday on Earth Day because I personally do care very much about our home, planet Earth, and it’s hurtful sometimes to see what we do to this planet. But I remain optimistic and hopeful. But it was Passover, the first night of Passover. I’m not a religious person, but my family does get together and we go through what people traditionally do on the Jewish holiday of Passover, which makes it a little challenging when it comes to eating because there’s things that you’re not supposed to eat, but I brought along some of our greatest recipes. We have a vegan Gefilte fish. It was a hit. Everybody liked it. Made from almonds. And my favorite flourless chocolate cake, so I had a great birthday, and thanks for your good wishes. Caryn Hartglass: All right. Now you started out as a professional golfer. Deborah Vidal: Yeah. That was – I mean we can go back just a little further. I was actually; I’ll call myself a vegetarian, although I wasn’t a kid that liked milk. I hated milk and butter and eggs and mayo and all that stuff. But I loved animals, and I think for me, I would say it was all about the animals, and I was a vegetarian and kind of resisted meat since I was about ten. And when I played the tour at the age of 23, I had only played golf for three years and was amazingly fast at getting good and just got on the tour in three years and was probably – I think I was the only vegetarian/vegan out there. Caryn Hartglass: I just want to back up a little bit. I’m re-reading the bio you sent me that’s on our website, and you mentioned you had a terrible accident at 11, where you died and were resuscitated back to life. Can you talk a little bit about that? Deborah Vidal: Yeah, so at 11, I loved my horse, and he was a very big powerful horse. I’m 6-feet tall now, so I was always a tall, lanky kid, and I was taking a lesson doing an exercise where you don’t have a saddle on, and a motorcycle came by and he bucked me off. I went up in the air like three revolutions and landed on my tailbone and slammed my head back on the ground. And it was very – it changed my life in many ways because I actually came out of my body and watched them resuscitate me. Couldn’t understand why nobody could hear me when I was trying to tell them that I was okay. And since that time, I’ve read many books about other people who’ve experienced the same thing, and I see now that my experience was not so unusual. I learned that at about the age of 17 when I went to Catholic school. A priest gave me a book to read about that experience. I learned that it wasn’t so unusual that other people have had the same thing, but it changed my life in many ways because I – first of all, I was left with a horrible injury and at the age of 11, I had horrible headaches that I really honestly thought I would never live to be very old because it was so intense. My headaches, I would just vomit sometimes all day for many days in a row. And that’s what got me on my health search actually was trying to heal myself from those headaches. So I’ve been into health and food since I was 11. Caryn Hartglass: Wow, okay. So now let’s go back to golf. Deborah Vidal: Yeah, so golf starts for me way after that. I was an athlete. I played softball. I was a great softball player. Played tennis. I was the state champion in tennis. I played doubles and was the state champion in tennis, and I played against Andre Agassi’s sister because I grew up in Las Vegas. And all of my friends never – I never hit a golf ball, and I go to college at UNLV in Las Vegas. They don’t even have a lady’s golf team. I’d never played, and one day, my dad who’s an opthamologist goes to Hawaii with my mom for this eye meeting, and I go with them. And all his doctor friends are like, “Hey Deb, come out and play golf with us.” I’m like, “Golf? That’s such a dumb sport. No way. I’m going to go to the beach or I’m doing this.” And they talked me into doing it, and I just gave it the no shoes, no tanline theory, put your hands on like a baseball bat and let it rip. And I had a blast and three years later, I was on the tour. Caryn Hartglass: Wow. That’s amazing. Deborah Vidal: Looking back, I can appreciate what I did a lot more now than when you are in the moment. Caryn Hartglass: That’s interesting. Well, what did you appreciate about that that you didn’t recognize in the moment? Deborah Vidal: Well, I think when you can look back, first, you realize how hard golf really is because I’ve taught and tried to help others. That’s what I do a couple days a week to help people and make some extra money. And I just see some very talented, athletic people and how hard the golf swing really is. But also when you’re in that moment of grinding and you’re one of the best, like I was top 40 in the world and it never feels like good enough. So you’re always setting your goals higher, higher, higher, so you always are kind of in some ways feeling like you’re failing. But when you can step back from it, it’s like anything, when you step back from it, you can say, “Wow, that was pretty incredible. I was really the player that came out there that became a professional golfer with the least amount of experience ever, and it’s still never been done that fast.” And to me, that was almost an excuse to say that because I still felt like I should have won, and I still felt like I could have been number one. And so all that didn’t matter. That was like, don’t even tell me that. I’m not playing well enough or I should be doing better. I expected so much out of myself that it made it really difficult. Caryn Hartglass: This is something that plagues just about everyone, and we’re talking about food and food is related to this too, but even the greatest stars or the most beautiful people, pageant winners. They all feel like it’s not enough. We all feel like whatever we do is not good enough. Deborah Vidal: That’s true and if you relate it to food, Caryn, look at people who are on diets or their lifestyle. Some people beat themselves up with one little mistake, and then they go off the train when they could have just forgave themselves and continued. And so perfectionism or high expectations, when it gets out of balance, it doesn’t matter whether it’s in your business or your career or your sport or your relationship, it’s a problem. And after I left the tour and we can talk about that, I became a homeopath, and one of the great things about homeopathy is you deal with an illness by taking the whole story into consideration. And so when I started playing golf on the tour, I started becoming sick because there’s so many pesticides used on the courses. Caryn Hartglass: Yeah, can we stop right there? Let’s just focus on that for a moment because that is huge, and I don’t know how many people realize this because it’s not talked about enough, but most golf courses are just toxic wasteland. I mean they look beautiful, and they’re green, but they’re filled with toxic chemicals. Deborah Vidal: Absolutely. Completely toxic environment and I didn’t relate the two together because I started getting sinus infections and then chronically one after another after another after another. And I’m a very sensitive person like growing up because I had these headaches, any smell would give me a headache. Chocolate would give me a headache. So suddenly I’m out there with all these pesticides, and I just started getting sicker and sicker and sicker. And it’s kind of what led me to homeopathy is that I got cured by homeopathy by seeing a homeopath in Boulder, Colorado. And so it showed me the power of homeopathic remedy, but the thing that I wanted to tell you is part of the remedy that she gave me had to do with being a perfectionist also. Do you see? Because you’re using the whole person’s constitution. That’s what I loved about homeopathy. I sat with this lady for two hours, and she maybe asked me three questions about my sinus infections, but it was all about have you experienced any grief, any losses? I had. I had lost my sister and she would say, “And how did that feel? And how is it for golf and why do you like it and why is it difficult for you? And how do you do it?” And then when I started talking about my personality like that, she honed in on the remedy and literally I took that remedy, and within a few months, I never had another sinus infection, and I still, to this day, haven’t. I was getting them every six weeks for five years. Couldn’t stop them. So it’s powerful when you treat the whole body. Caryn Hartglass: It’s powerful when you treat the whole body, and that means the whole physical body. That means the whole emotional body. That means the environment that body is in. It all relates to our health and well being, and you have to consider all of that if you want to heal, especially from some kind of crisis illness. 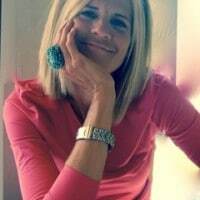 Deborah Vidal: Exactly and our founder, Dr. Samuel Hahnemann, he always said you have to remove the cause, so when I treat people, I’ve been in practice for 17 years treating patients, and when they’re not willing to remove their coffee or their pizza or their crap junk food or their processed food, and they want to take a little pellet on their tongue and get better, I always say, it can maybe help your symptoms, but you’re not removing the cause because you’re just eating toxic crap and you’re feeding your body just total crap. So that’s what got me treating the whole person, which included their lifestyle like offering advice to try to get them to move to a plant-based vegan diet and to try to get them off all this crap food and coffee because they’re just burning out their adrenals, not sleeping and eating crap food. And this is most of the world today runs on fake fuel like this. It’s really sad. Caryn Hartglass: Yeah, now how does homeopathy work? Deborah Vidal: Okay, that’s a good question. It’s a very diluted medicine, so it’s why scientists and doctors hate homeopathy because it starts out – first thing I want to say is that I started a podcast. It’s called Vidal Speaks. In episode number four, I explain it in detail so if any of the listeners out there want to really understand it, it’s a great little podcast that I did specifically for that. But the gist of it is is that you start out with a substance that can be a poison, a plant, a mineral, a substance. It doesn’t mean that it’s non-toxic when it starts, but you dilute it out like one drop into 100 drops of water, and then they perform this slamming of the vial against the palm of the hand, which is called succussions, and in that process of succussing the remedy, the water molecules take on a photographic memory of the original substance. So after they hit that or succuss that 100 times, they then take one drop of that vial and put it into another empty vial and add 99 drops of water into it and succuss it another 100 times. And when they do that 30 times, they now have a potency that you’ll find in whole foods that’s called 30C. And 30C means that it’s been diluted 30 times, but 30C is more powerful than 6C because in between each of those dilutions, they’ve succussed or hit that vial 100 times, and that’s what’s making it stronger. So it’s a system of medicine that’s extremely dilute but very powerful in energy because of the succussions, and therefore, you can treat pregnant women, old people, animals and without harmful side effects. That’s what’s so fantastic about it, whereas herbs, it’s natural medicine, but herbs have side effects, and they can have contraindications with other drugs. Homeopathy doesn’t have any of that. Caryn Hartglass: Well, I believe that as we get better at seeing things at a microscopic level that we’re starting to do and at nanometer levels, we’ll be able to put more science behind homeopathy. I think that’s where a lot of conventional doctors today are hesitant to get involved with it because they’re waiting reviewed critical, published research that supports it. Deborah Vidal: Well, and it’s hard to do that because to do double blind placebo studies or you have to say – like you have to take 20 kids with ear infections, but you see if five of those kids with the ear infection all have different behaviors because a child with an ear infection might have it in the right ear or the left, that’s a different remedy. They might be wanting attention from mom and be cuddly and have mom hold them, and the other kid might be irritable and grumpy, and those are different remedies. So it’s really hard to do these trials because you’re treating the individual person, and you can’t just throw one remedy at all 20 kids. Caryn Hartglass: And that is another problem with our medical system because we want to find a one-size-fits-all. It’s really expensive to do any kind of research, and that means the research that is done is really simplified and not duplicating the real world or the real picture. And we all do need to be treated individually because we’re individuals. Deborah Vidal: Yep, you have to treat. I mean some old systems of medicine, homeopathy’s from the 1700s, so you know if they’ve been trying to attack it for all these hundreds of years, it must have some merit, right? And the reason that doctors don’t like it, my dad’s a doctor and it took him a really long time because he would keep saying to me, “I don’t get it. How can it be more diluted and become stronger?” And I said, “You have to turn off your doctor mind, and you have to think of it as the succussions that are making it stronger, and in between every dilution, you’re having a 100 succussions so it’s 100 times 100 times 100. It gets stronger as you dilute it because you’re able to do more successions.” And then he finally got it. But you got to keep reminding them about that because their doctor minds aren’t taught anything like that. Deborah Vidal: It’s hard because they fight it because like you said, there’s not just one pill that fills all, and that’s why I always recommend to my patients, it’s like sometimes they’ll say what can I take for a backache? Well, it doesn’t work like that. Tell me the specifics of your backache. Are you chilly? Are you warm? Are you grumpy? Are you wanting to be alone? Are you wanting company? Where’s the pain? Is it going down the right leg, the left leg? What’s the nature of the pain? You have to know all these things to find the right remedy. You can’t just take one remedy for back pain. Caryn Hartglass: Right, and it doesn’t necessarily work immediately. It takes time, doesn’t it? Deborah Vidal: Well, it can work very fast like in cases of high fever and in a case of a child with an ear infection. You can give a remedy, and in ten minutes, the fever can go down. I took my fever down in pneumonia from 105.3 to 99.0 or something in a matter of 20-30 minutes. So it can work really fast, but in chronic disease, it won’t work really fast. But acutes, it can work very fast. Caryn Hartglass: Right, okay. Well, I’m going to remind people that we can take calls at 1-888-887-4888, and if you’re as intrigued as I am, you might have a question. So let’s hear it. And you can always email me at info@realmeals.org if you’re listening to this sometime in the future. Yes, Deb? Deborah Vidal: So I was going to say, too, in regards about food, it just became – it’s such a big thing. I mean I’ve always been a health conscious person because I think when you grow up with serious headaches and physical problems of my spine, and to be in the shape that I’m in is a miracle really because I could have been basically crippled from my accident. And it took me many, many years to heal my headaches, many years. And so I feel that’s probably what drove me to the health conscious state, but however, it’s also my life work. I’m 100 percent clear that I came here to help people, and it’s why I recently put my practice on hold because I’m so frustrated with the state of the world, like you were saying in your introduction. The world is sick. The planet is sick and we’re eating all these animals that’s making us sick, that’s making the planet sick. And people don’t get it, and they need to hear it, and so I felt like for five years, I’ve been thinking about doing a podcast because I feel such a strong desire to get the word out because by the time I’m getting people now in my practice, they are so sick and it’s such a long way back to health when you get to that point first. If you could just do the steps, small steps that it would take to heal some of the illness that you have before you get to that point, it’ll be so much easier. And so I feel really strongly about speaking out and teaching people, mainly about making better choices because doctors are prescribing antibiotics for common colds, for ear infections that are fungal and viral and not even bacterial that they don’t work. They’re ruining these kids’ guts and these waves of antibiotic are creating huge waves of illness that it’s going to take us many years to overcome. People take these pills because they believe their doctor’s trying to help them, which I’m sure that’s why a doctor became a doctor, but these drugs are suppressing the symptoms, and you cannot take a symptom that the body needs like that away by cutting it off with a drug because it’s just going to express in a more dangerous way. Caryn Hartglass: It just gets bigger. It just gets bigger, right? Deborah Vidal: Right. Right, so that’s really the message that I feel like I want people to know. I’m not trying to tell people don’t take an antibiotic, but I want people to know, if you choose to take that antibiotic, you are still going to pay the price for it even if it’s a life threatening pneumonia. It’s still going to take you probably years to overcome the damage, what it does, when you suppress a strong symptom like that. And you just need to be educated so you can make better choices, just like we do about our food. You can’t just – how long can you sit there and put that crap in your body and be unconscious about what you’re really feeding yourself? Are you going to wait for the stroke or the heart attack or do you want to do it before and try to feel better? That’s what I try to tell people. It’s really about choices. Don’t you think, Caryn? Caryn Hartglass: Absolutely. I have very limited experience with homeopathy. I was living – but I did try it, I believe one time, and I was living in the south of France in the early 90s and in Europe, I think there were more opportunities back then to use homeopathy. All the pharmaceutical stores had homeopathic medicines available. And so I got bronchitis and it seemed when I was there, everyone was getting bronchitis. All the French were running around and going oh, the bronchite, the bronchite. And I took this homeopathic treatment. It took three weeks. Deborah Vidal: But some of those bronchitis might take a month or might have turned into pneumonia. Caryn Hartglass: Exactly, it took a long time, but I was not going to take antibiotics. Deborah Vidal: Exactly, and that’s what it boils down to. In our society, people can’t take a day off of work, so they just do whatever they can to try to get through working instead of going to bed and resting and having a nice bowl of miso soup and letting your immune system build up. Drink some green juice or a smoothie, but instead, people go to work. Caryn Hartglass: I know. That’s the bad part of our culture. I have a question about homeopathy and nutrition. So does a whole-foods, plant-based diet work with homeopathic practice? Deborah Vidal: Yeah, but I would say that it’s not two separate entities, but let’s put it this way. If someone’s not eating a plant-based, organic diet, will a remedy still work? Yeah, but my feeling is that whole food, plant-based, organic diets build your immune system up, and when your immune system is functioning at the best level possible, then a remedy’s going to respond even faster and you’re going to get less sick less often. And when you do, you’ll respond better versus somebody who’s digestion is so slowed down by trying to digest so much meat and protein and then they’re taking in all the bacterias and the estrogens and the chemicals from all the stuff that the cows and the chickens and all this stuff. Then I think their immune system is not functioning as well. They’re more toxic, I guess you could say. And so it doesn’t mean their response will be not able to work, but I just feel like it’s a lot more work to get them healthy. It still works. Caryn Hartglass: We just have a few minutes, so can you tell us where we can find your podcast and more information about you? Deborah Vidal: Yeah, so my podcast is called Vidal Speaks, and it’s – I did episode 14, interviewed Brenda Davis. She was just my last guest. She was a great interview, so I highly recommend people check it out because I do interviews with people that have recovered naturally with diseases such as cancer, all kinds of things. I talk to people about food. I talk to them about water, homeopaths about health and it’s on iTunes. My website is VidalSpeaks.com. Please go check it out, but it’s on iTunes and on Facebook and Twitter, Vidal Speaks. So it’s pretty easy that way, and you can email me if you have any questions. Just go to my website, VidalSpeaks.com and just click “contact me” and you can send me an email if you have any questions, but I’d love for you guys to check out the podcast and let me know what you think. Caryn Hartglass: Okay, that’s awesome. Well, I loved learning all about homeopathy today and hearing your story. Thank you for sharing it with us on It’s All About Food, Deborah. Deborah Vidal: Thanks, Caryn, and you keep up all your good work. From one vegan to another. Caryn Hartglass: Woohoo, thank you for tuning in live with me here on It’s All About Food.